One thing that my family loves to do a lot of is travel. Traveling to us also includes in state traveling as well as out of state. In the fall we do a lot of in state traveling with the kids going to pumpkin patches and apple orchards. Our favorite apple orchard is not very close to home it is about an hour and half away one way. With us currently having a Ford Escape I dread pulling into the gas station because I just hate watching my bank account getting drained by filling up the gas tank to take our family trips. Luckily for me, the awesome people at Sunoco must understand this dreadful feeling because they always seem to have some the cheapest gas prices around. I know that I will drive past one gas station to go to one that has a cheaper and more reasonable price. I love to save money especially when it comes time to fill up my gas tank. 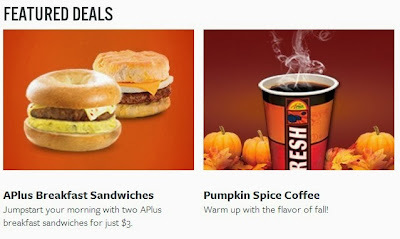 Not only does Sunoco have great prices on gas but also great prices on what you need to fuel up your family while traveling. Don't know where your local Sunoco store is located? Not a problem just simply use the store & gas station locator on the Sunoco website to find the closet one to you. I found 6 stores within 15 miles of me when I tried out the store locator. 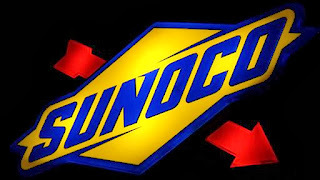 Wouldn't a Sunoco Gift Card be great right now with the Holiday's right around the corner! I know I would be thrilled to receive one to use for Holiday travels or even as a stocking stuffer for Christmas. Well guess what?? You can enter to win a $50 gift card below which would make a perfect gift to give or keep for yourself! Don't worry if you don't win because you can still visit the Sunoco website and purchase gift cards in $25, $50 or $100 denominations or simply stop by a Sunoco store. Make sure you hurry and enter because I'm sure if your like me you have lots of traveling planned for the upcoming holiday's. I would keep it for myself. Like you, my family loves to travel so we'd use it for a fall road trip. I'll gift it to my son in law. He comutes to his job and puts in lots of miles. I think I would keep it. I would let my kids use it. They can always use gas money. I would give this as a gift to my mom or brother! They travel a lot..and this would come in handy! Thanks SO much! I would give it to a friend of the family. I would keep it! It would get me a tank of gas! I would keep it for my beach trip! I would keep it because our budget is extremely tight, and this would be so helpful! We have a Sunoco at the end of our street so we are always buying something there. Id keep it for me and the kids. i would keep this for me Thanks!!! I would keep it, thanks! I would give this as a gift to my brother in law. I'd keep it for myself and use it take my son and myself on a road trip. My brother finally got his first job after over a year of looking. I would love to give this to him, because he is still struggling to pay off student loans. I'd keep it for our family. I would give it to my son. He is out of work and would appreciate having the extra $50 to purchase gasoline! I'd probably keep this for myself! Keeping for me and my hubby. We do a lot of driving! I would keep it for myself. I need gas! I would keep this. It would come in handy while we travel during the holidays! We always need gas! Thanks! I'd keep it. Gas is such a big expense for our family right now! I would give it to my son=in=law as he commutes a long way to school. I'd keep this. Amy W.
I'd give it to my husband to use. He has a long commute and our gas costs each month are really high. I would keep this gift card for my hubby and I.
I would keep this for myself (or more correctly, for my husband) - we recently bought a new-ish minivan, but he still drives our 20-year-old rusted-out Subaru to work because it gets twice the gas mileage! With this card he could afford to take the vehicle WITHOUT the rust holes in the doors to work a couple of times! I'd use it when we are traveling.